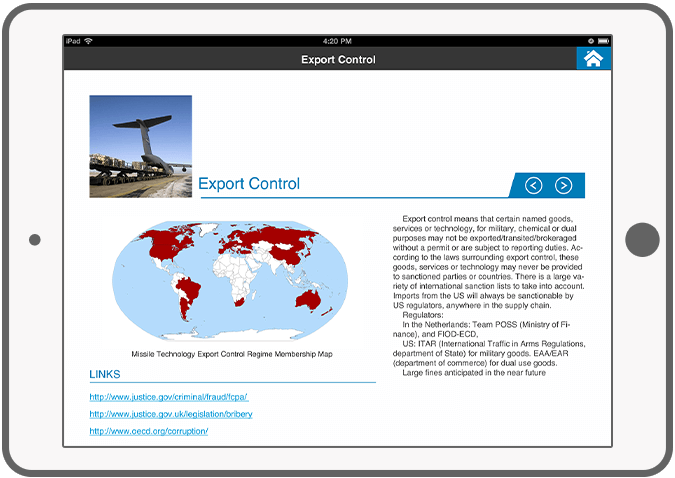 This application is developed to help KPMG consultants to provide their clients insights into the risks associated with international laws and regulations. 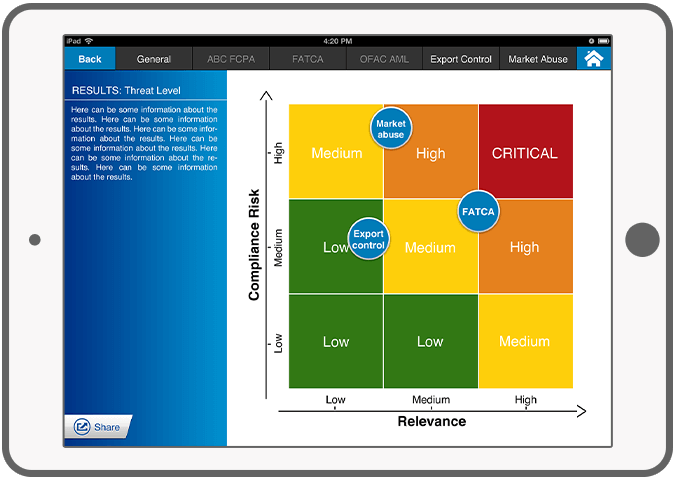 After completing an interactive smart survey, a heat map is generated which shows the client's risk position regarding the international laws and regulations. The result of the survey and the heat map provide the consultant and the client the foundation to develop solutions to reduce the risk. 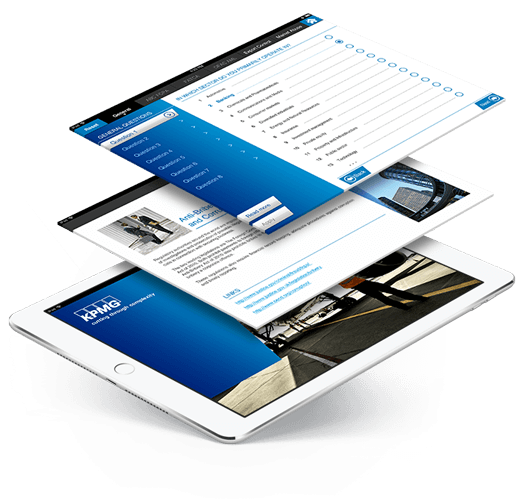 In this exciting project, DTT was responsible for the design and the development of the whole application. 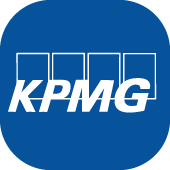 Currently, the app is not available in the app store, but used by KPMG internally. More information about KPMG can be found on their website. 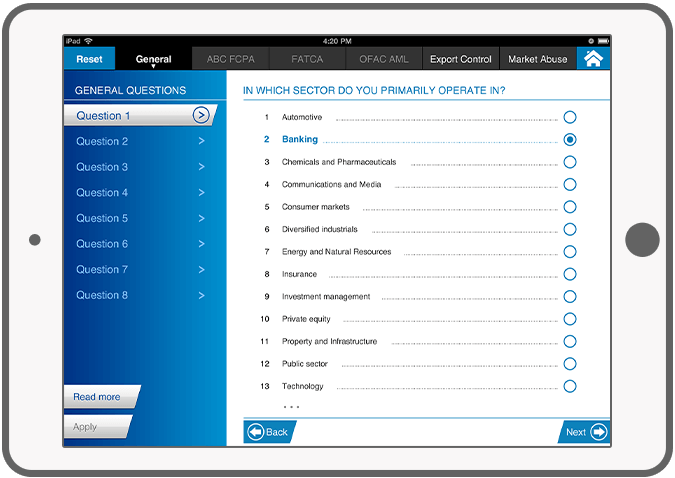 Dynamic and interactive questionnaire with an intelligent question and answer structure. Formula calculates relevant position on the Heat Map based on the received answers.